We are a team of certified Paramedics with extensive hands-on experience in performing actual CPR. We started the company in 2003 with a vision of improving CPR education worldwide. Initially, there were many doubts regarding the online education environment and its utilization for emergency skills and other healthcare training, however, with the advancement of online education tools, we believe that we may assist with the delivery of instruction so much that the benefits far outweigh the detractors. Our mission is to train and educate individuals to become the most highly skilled Emergency Medical Service professionals. Continuous quality improvement is the primary focus of our educational training program. We take every possible step to instill knowledge from our previous experience through continuous evaluation and improvement. Each member of our team participates in this process, as an open atmosphere leads to innovation, quality education, and instruction. Our students are trained to these high standards and exemplify the character of our organization after successful completion of their course or program of study. EMS University was established in 2003 in Phoenix, Arizona. The Phoenix location is actually in Tempe, close to the center of the Phoenix Metropolitan Area. EMS University - Phoenix has been providing instruction to EMTs, the general public and healthcare professionals for Basic Life Programs. Our 3000 square foot facility and large/open classroom is ideal for students both learning how to become an EMS Provider and to become a better EMS Professional. Our programs are fun, fast paced, challenging, and rewarding. Finally, it is our desire that you feel comfortable and at home - we think of our students as family and want them to succeed in the classroom and beyond! 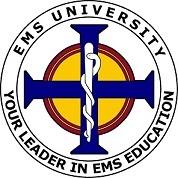 EMS University was established in 2010 in Tucson, Arizona. 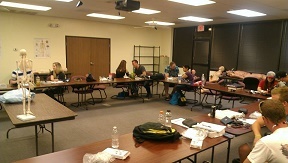 The Tucson office currently holds instructional classes for BLS and EMT Programs, including both initial EMT classes and EMT Refresher training on a quarterly basis.